This difference in perspective became most obvious in the passages of the book that dealt with feminist ideals. Admittedly, I’m a self-professed “crunchy-granola, bleeding heart liberal,” so I was predisposed to supporting the way women were integrated into the professional and social structure of life in Annares. 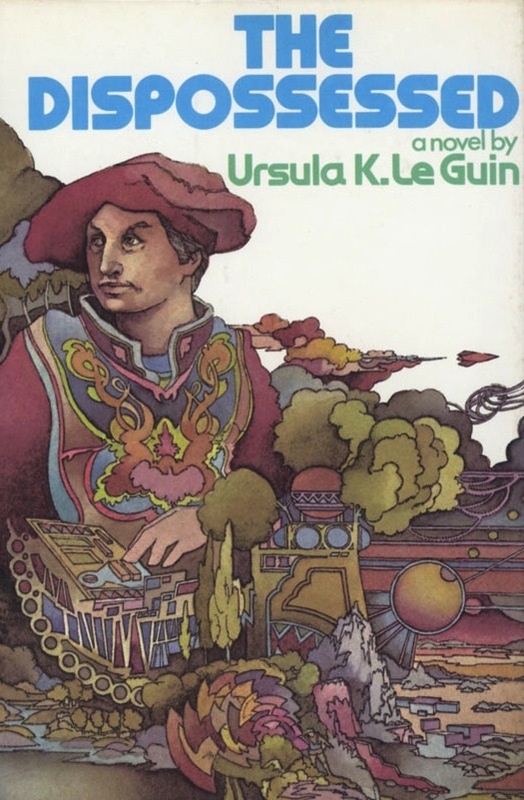 In fact, if Le Guin presented life on Annares before clearly delineating the rather sexist attitudes of Urras – specifically, the nation of A-Io, the only culture on Urras she actually details – I might not have properly appreciated the fact that the women on Annares enjoyed all the same rights and privileges as men. Did the average white, liberal, heterosexual, middle class American male from 1974 react similarly when reading the novel? I’m inclined to believe not. Although we still don’t have the type of equality that people of all genders, sexual orientation and race should enjoy, the socio-political culture in the United States has changed drastically over the past four decades. In the interim, we’ve seen our first women astronaut, Vice Presidential candidate, Secretary of State, Speaker of the House, Supreme Court Justice, and CEO of a Fortune 500 company. Because of all this, I thought absolutely nothing of seeing on Annares women such as Mitis, the closest thing Shevak has to a supportive mentor, and Rulag, his mother and ultimately the leader of the opposition to his Syndicate of Initiative at the end of the novel. In other words, it doesn’t matter what women want – men cannot adapt to a changing society; ergo, we need to go back to the old ways. This is just one element in the pushback against feminism. The fact that such a statement can still be made today illustrates that despite all our progress, we are not as free from the vestiges of sexism as might like to believe. The battle is far from over. Even with the economic shocks caused by the 1973 Arab oil embargo, the US economy at the time of the novel’s publication was still in fundamentally much better shape than it is today. In that context, I-Ao’s form of capitalism, as perceived by Shevek, reads like the criticism of an outsider raised in a culture excessively hostile to such an economic system, thus is likely to overstate its flaws. But, given the rise of the Occupy Movement and the fact that the notion of the 1% has entered the American lexicon, I’m willing to bet that many Americans today are far more sympathetic to his views (if not in full agreement with them) than were 40 years ago. While it was certainly fascinating to read Le Guin’s vision of a working anarchist society, the current political climate in the US makes me more interested in reading a work that attempts present a working libertarian society. Yes, I am aware that there is a large body of libertarian sf (as demonstrated by the fact that the Libertarian Futurist Society has consistently awarded the Prometheus Award yearly since 1982), but the impression I get is that much of it depicts struggles against various forms of institutional repression and very little of it attempts to present an honest, properly ambiguous presentation of a libertarian utopia. However, I will admit that my own aversion to libertarian sf makes it much less likely for me to encounter such a work. Gibson, William. Neuromancer: 20th Anniversary Edition. 2004. Read by Robertson Dean. Compact Disc. Books on Tape. 2011. Le Guin, Ursula K. The Dispossessed. New York, NY: Harper & Row. 1974. 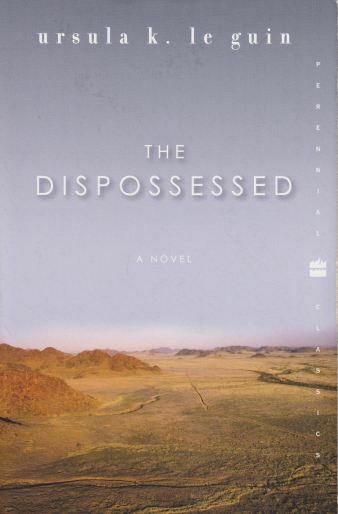 Click to purchase The Dispossessed on Amazon.com. This entry was posted in Feature, Matthew Appleton, Ursula K. Le Guin. Bookmark the permalink.